Picking entertainment for your party is a super fun part of the planning process. Whatever you pick will have a big impact on your party and its theme. The biggest factor in your decision will be what type of party you’re holding, as well as your budget. 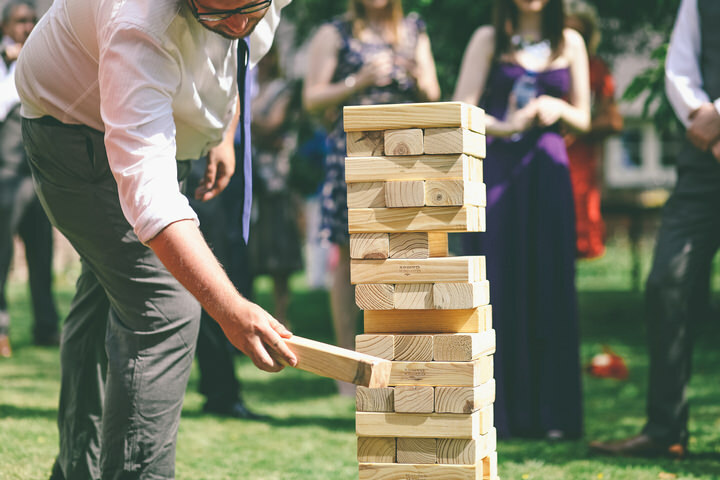 There are many choices for hired entertainment, whether it’s a band or a magician, and if you can’t afford to book a professional, you can always go down the DIY entertainment route to make your party one to remember. If you’re planning a large party, like a big birthday do or a wedding reception, then you may want more than one type of entertainment. For example, if you have a big venue with a dance floor it’s likely that you’ll want to hire a DJ or a disco to get people up and dancing. Bands are another option to consider – whether a local group/performer or a tribute act – it’s always a popular choice, particularly for weddings. Consider your guests’ tastes and think what genre of music will get the party pumping. If you want to extend your entertainment, hiring performers like circus acts, acrobats, dance troupes or event hosted casino tables can be really fun for your guests. These all vary in price but it’s safe to assume they will set you back a couple of hundred pounds. You’ll probably determine whether these are the acts you’re interested in by your theme. So if you love Vegas, it’s likely you’ll pick casino tables and showgirls as your party’s entertainment. If you’re having a big party outdoors, then you could consider hiring some big inflatables or garden games! They’re not just for kids; you can hire dueling rings or bungee runs for fun competitions, or games like giant chess or Jenga. Your guests will love having a go and you could even get your photographer (if you have one) to take some funny snaps for your friends to laugh at later. Giant Jenga. Perfect for the garden. If you’re hosting a smaller party then you may not have a big budget to splash cash on hired entertainment. If this is the case, then it’s quite easy to plan and host your own entertainment by creating your own games or show. The classic route is of course drinking games, where everyone gets tipsy within minutes - helpful for breaking the ice! If you wanted a Vegas theme but didn’t have the budget then think smaller; host your own poker game, all you need is a deck of cards and some chips (or other betting substitutes like sweets or matchsticks). A very simple entertainment idea for a party is setting up a bowl full of paper pieces with fun conversation starters on them. Things such as ‘Would you rather fight one horse sized duck or one hundred duck sized horses?’ can be fun to discuss, especially after a few cocktails! We all love to take our own snaps at parties, so why not hire a photo booth? They are becoming really popular with event planners, particularly for weddings. Depending on how much you have to spend, photo booths can come with a variety of props and unlimited snaps but be sure to check what the package includes as there could be hidden costs for set up or printing. If your budget won’t stretch to a few hundred pounds, a cheaper alternative would be to buy your own props and set up a photo corner with a picture frame and a digital or Polaroid camera. You can then print off the snaps you want to keep or upload them to a website like Dropbox or a Facebook album for your guests to have a nose and save their photos after the party. It might also be worth creating a hashtag for your party so guests who snap through apps like Instagram can keep track, share with other friends or save the images for later. Deciding on your entertainment is really only down to a few things: the size of your party, your budget, the location and the theme. The bigger the budget the more entertainment you can provide, but don’t forget that sometimes the humble homemade entertainment can actually be more intimate and fun.